Tyoma dearly loves the elevator animations on YouTube. 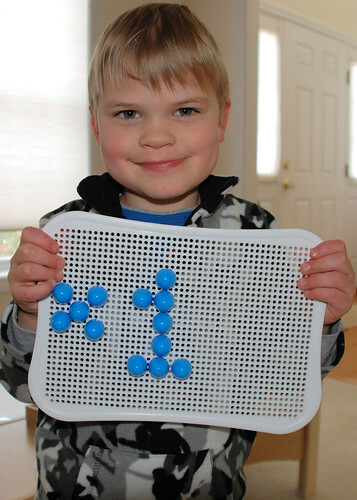 He is particularly fascinated by the types of number displays, so when I brought out a peg board toy he hasn’t seen for a while, guess what his first impulse is? I have twelve more photos, which I will post as a slide show as soon as I get smilebox figured out! Mar 12 2011 Sep 8 2015 Lori D.